For the first year of my daughter’s life, I put my dreams on hold. I paused pursuing my wants and desires and focused solely on my child. I told myself I was too busy to finish pre-pregnancy projects and didn’t have the time or the energy to run towards my goals. I yearned to sleep, not dream. But my dreams didn’t disappear. In fact, they grew bigger. I realized my daughter wasn’t a dream deferrer. She’s a dream fulfiller. She is my inspiration to achieve everything I hoped for before and after becoming a mom. Here are five things I’m doing to make my dreams come true. 1. Ban the phrase “I’m too busy” from my vocabulary. We can all make time for the things we truly treasure. Push your dream to the top of your priority list by setting aside at least thirty minutes a day to work. If you dream of becoming an author, write one page of your bestselling book each day. A sentence leads to a page. A page turns into a chapter. And chapters create a book. If you want to become an artist, pick up a paintbrush. Several strokes soon transform into a masterpiece. Sometimes I fall into the trap of comparing myself to other writers or bloggers. They have twice as many Facebook fans, three times as many Twitter followers and ten times as much content on their site. But they didn’t reach the masses overnight. They worked hard, sacrificed and invested time and money into their dream. Don’t envy the competition. Mimic them. What can you learn from their success? Don’t give up just because you fail the first time around. Learn from your mistakes and push yourself to the next level. You wouldn’t encourage your child to give up if he/she couldn’t ride a bike, tie a shoe or use the potty on the first try. Not all deadlines area beneficial. Perhaps it will take you six months, not three, to train for a marathon. Or two years not one, to lose your baby weight. Make sure your timeline is flexible and achievable. 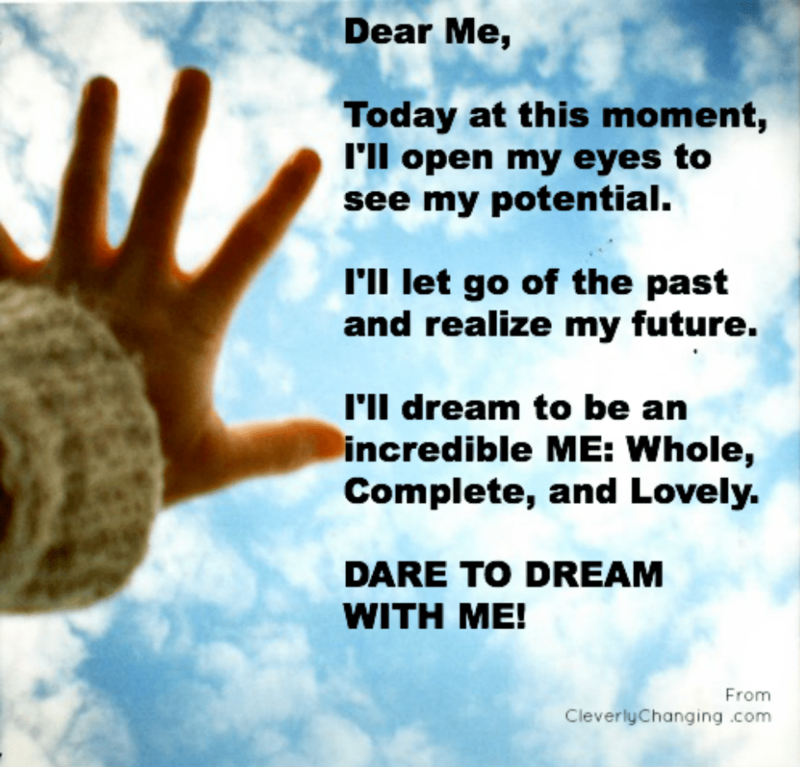 Did you put your dream on hold when become a mom (or dad)? What are you doing to make sure your dream comes true? Guest Post Bio: Not long ago, Heather Hopson hosted a television show in the Cayman Islands. Today, she’s back home writing a different kind of story as a new mom for her new blog Diary of a First Time Mom (www.diaryofafirsttimemom.com) Heather is also a regular contributor for Kidville’s Voices from the Ville and Black and Married with Kids, where she pens a column called The Single Life. Be sure to follow her journey through motherhood on Twitter @dearmomdiary and Facebook.